One of the more fun questions to debate about as the 2017-2018 NBA season gets closer is ‘who will be the MVP’. The answer will come from one of 7 players: Giannis Antetokounmpo, Stephen Curry, Kevin Durant, James Harden, LeBron James, Kawhi Leonard and the current MVP, Russell Westbrook. The reigning MVP has to be in the discussion. 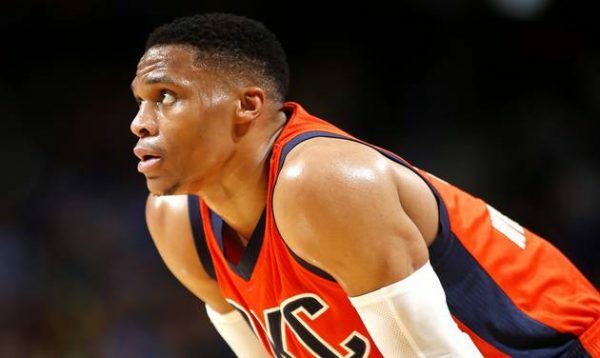 Westbrook won the award last season after pulling off the second triple double season in league history, averaging 31.6 points, 10.7 rebounds and 10.4 assists per game. There’s a good chance his numbers will drop now that he has a dominant player like Paul George by his side (a one-year rental, and yet quite an impressive one), but I think the more important indicator will be how well the Thunder do in order for Westbrook to leave that kind of impression with voters. Finishing 6th in the West, which led to a quick exit in the first round of the playoffs, isn’t going to cut it in 2017-2018. Harden, like Westbrook, is going to lose part of his total control over the team’s offense in the coming season. Chris Paul has joined the Rockets, which shifts Harden back to shooting guard (although he’s never actually played that way since joining the Rockets). 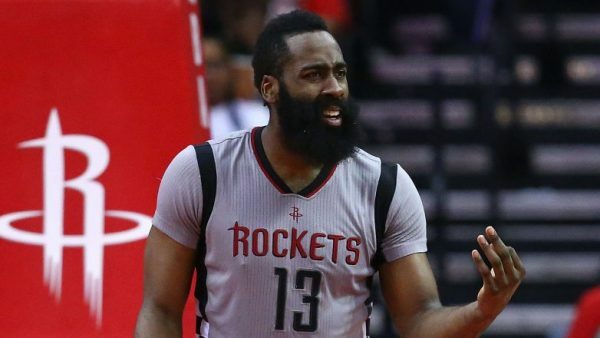 Harden averaged 29.1 points, 8.1 rebounds and 11.2 assists per game last season while leading the Rockets to 55 wins and the conference semifinals. Like with Westbrook, I think that a drop in some numbers but putting Houston in a higher seeding with more wins could leave a bigger impact on voters. A four-time MVP, who hasn’t won since 2013, but wouldn’t have been a bad choice in any of the last four seasons. 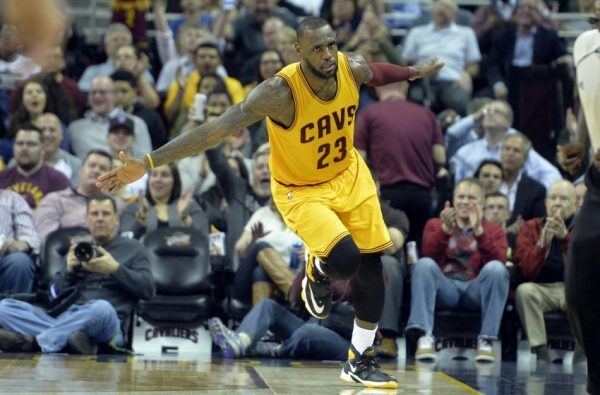 James is entering his final year as a Cavalier (or isn’t it?) with possibly even a bigger load to carry on his shoulders, at least until Isaiah Thomas gets used to playing next to a superstar. James averaged 26.4 points, 8.6 rebounds and 8.7 assists per game last season, and it’ll probably another year in which he’s required to do the same. Enough for an MVP? It’ll only happen if he posts the kind of numbers he had before joining the Heat, or he’ll help the Cavs to the best record in the league. The big villain of last season ended it with a smile and a lot of trophies to hold. 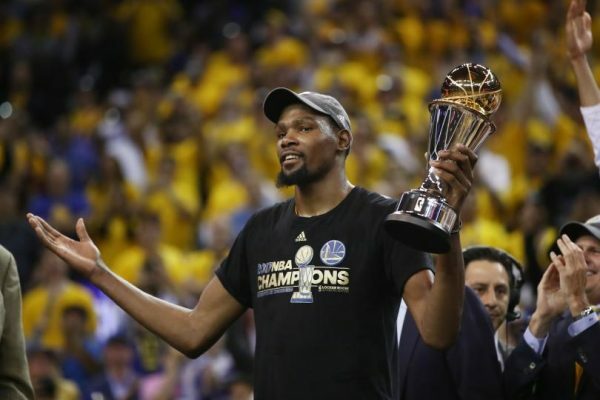 NBA champion for the first time, NBA finals MVP. 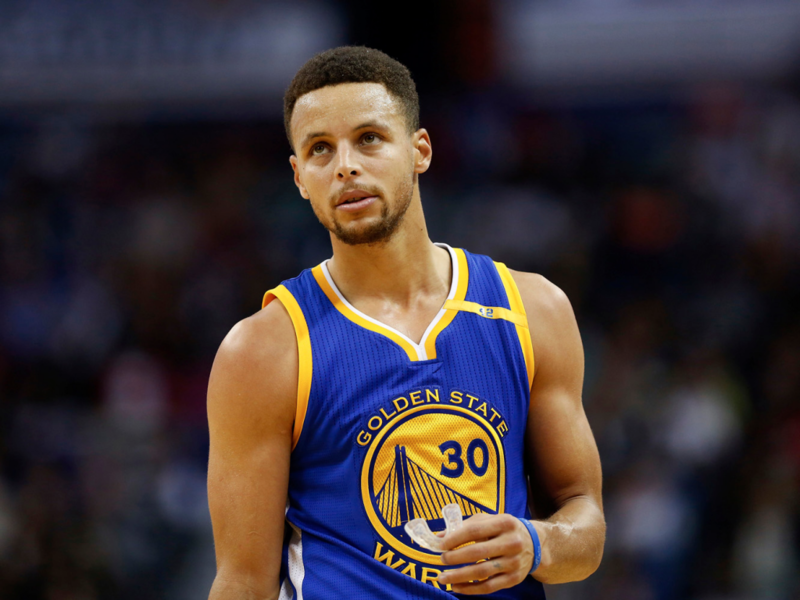 With Curry as his teammate, it might be difficult to be dominant enough during the regular season to pick up the award. On the other hand, Durant already won an MVP, and unless egos begin taking over what could be the best basketball team ever assembled, it doesn’t seem we’ll see him try to push for much better numbers than last season, which were 25.1 points and 8.3 rebounds per game. Westbrook last season showed us an MVP can come from an OK team; it doesn’t need to be one of the league’s best. 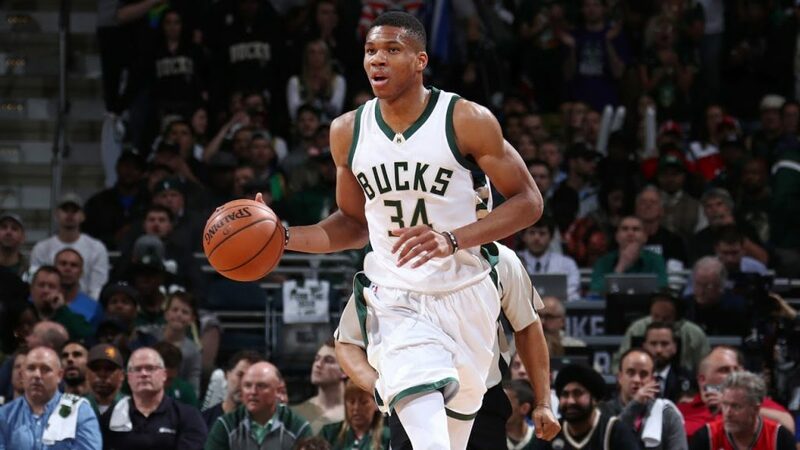 The Bucks won just 42 games last season, and while I’m sure we’re going to see even more from the Greek Freak this season (averaged 22.9 points, 8.8 rebounds and 5.4 assists), but it’s not going to be enough unless he’s good enough to turn the Bucks into more than just a team happy to make it into the playoffs. A two-time MVP (one of them should have been Harden’s in my opinion), carrying the biggest contract in NBA history on his shoulders. Curry played at an MVP-level during Durant’s absence in the second half of last season, but took one step backwards during the playoffs and especially the finals, giving Durant the room to do his thing. As long as the two are together, it’s hard to see Curry winning the award, although he’s obviously capable of playing at that level for a whole season. 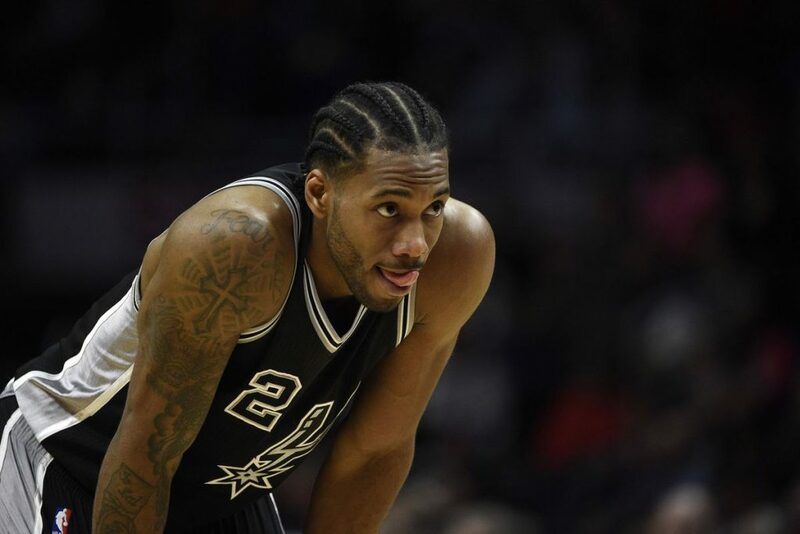 In my book, Leonard deserved to win the MVP last season, averaging 25.5 points, grabbing 5.8 rebounds, shooting 38% from three and playing sensational defense. If it wasn’t for his injury in game 1 of the conference finals, who knows how things would have turned out, but that’s in the past. Leonard has gotten better each season since entering the league, adding something to his game with that quiet assassin demeanor. If he keeps taking it up another notch, it’ll be even more difficult to deny him the award this season.